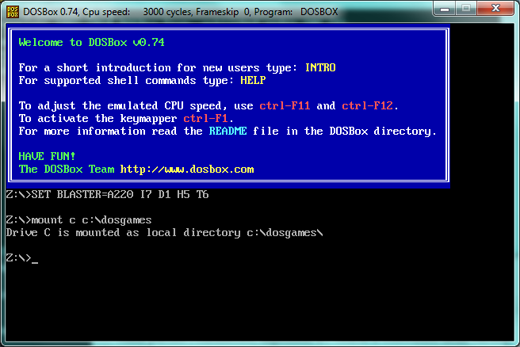 Open the website www.dosbox.com, click on the downloads page and choose the DOSBox version for your operative system (Windows, OS X, Linux). You can assign a letter (i.e. C:) the content of a specific folder of your computer. For example I created a folder called DOSGAMES and I put inside my games and MS-DOS applications. Write mount C C:/DOSGAMES and when you access to “C:” you will find the content of you folder (DOSGAMES). In the same way you can mount the floppy. This is boring so to To avoid to do this every time, you can set the devices to load when DOSBox starts. To do it, launch the file DOSBox 0.74 Options.bat (in the DOSBox folder). It will open a text file. At the end add the instructions you want (i.e. mount C C:/DOSGAMES). Video and audio adapters don’t need driver: after the installation everything works fine! And now? 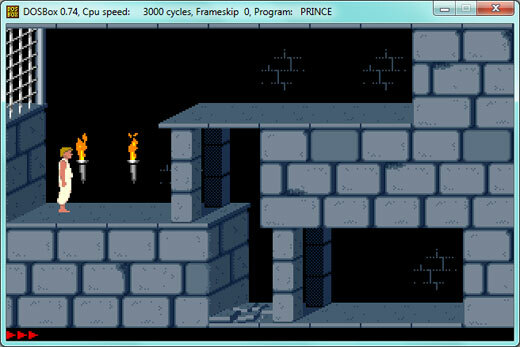 Click here Dos Games Archive and you will find a lot of games of the heighties (Prince of Persia, Lemmings, The Incredible Machine, Quake ecc. ecc.) to re-play on your computer!